KNX Master Switch Actuator is a fully modular actuator system. 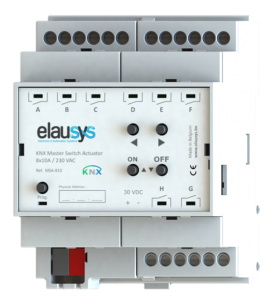 Extension modules can be plugged in to extend the number of output channels as needed. Extensions modules are available for switching, dimming and shutter actuators with various size and power.